In one of the Workshop I attended on Asma ul Husna ,the teacher told us that we do not know how to make a Proper Dua . She said that it is not enough for the lip to make the dua ,the dua needs to come out of Sincere heart .I was shocked but it was true . I wish to share my Dua Diary which aims at seeking Allah’s mercy through his divine names . It is true that if we understand the sifat of the names of Allah we realise how supreme Allah is and how much humility should we have in our Prayer . 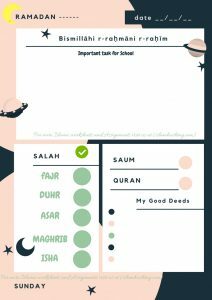 My Intention of writing this post is to glorify Allah via his names and to make the readers of this post ponder on the meaning of names of Allah and share the art of making Dua with Allah’s name . 1. Allah ,the One and Only . O Allah, we know that you are the One and Only God and you have no partners. O Allah !Guide us to firm belief in you and aid us in acting upon this belief by doing deeds that will lead to your Pleasure. O Allah! Make us of those who remember You often and make us turn to You at all times. O Allah!Bless us with faith in You until our last moment and make us of those who will gaze at your beautiful Countenance in Paradise, ameen! 2. Ar Rahman ,The Most or Entirely Merciful. O Allah, Ar-Rahmaan, we know that Your mercy is perfect. O Allah , You are Ar Rahman. Let us never despair of Your mercy, guide us to be merciful to others. Ya Rahman’o guide us to maintain our family ties, and make us seek Your pleasure. Ya Allah! Enable us to reflect on Your mercy around us, adorn us with gratefulness, and enter us into Paradise by Your mercy, ameen! O Allah, Ar-Raheem, we know that You bestow Your mercy perfectly and continuously on all that exists. Ya Allah! You are Raheem .Guide us to hold onto Your book and the sunnah so we may attain your special mercy and adorn our actions, speech, and thoughts with a deep sense of taqwa. O Allah! Make us turn to You at all times, asking for Your Mercy, and make us compassionate so we will enter through the gates of Your paradise by Your mercy, ameen! O Allah, Al-Malik, we know that You are our only King and Owner. Ta Allah! adorn us with patience and humility. Ya Allah !Guide us in being just in all our daily affairs, and admit us to Your Kingdom of Paradise, ameen! O Allah, Al-Quddoos, we know that You are the absolutely pure beyond imagination. Ya Qudduso ! guide us to purify our bodies and help us keep our environment clean. Ya Quddus’o Aid us in performing the best salah, and make us more generous towards giving charity . Ya Allah!help us to turn to the Quran so we can come to You with a pure heart, ameen! O Allah, As-Salaam, we know that all peace and safety comes from You alone. Ya Allah !guide us to patience and inner peace, and make us of those from whom others are safe and make us safe from the injustice of others. Ya Allah! Adorn us with sound hearts and make us of those who receive Your salaam in Paradise, ameen! O Allah, Al-Mu’min, we know that You are the Source of Faith and Giver of safety. Ya Allah,You are all Mu’min.Bless us with strong emaan, lead us in taking care of our trusts and fulflling our promises, and adorn us with all the characteristics of Your beloved believers. Ya Allah ! Grant us steadfastness and safety in this world and the Hereafter, and make us of those who enjoy the ultimate safety of Paradise, ameen! O Allah, Al-Muhaymin, we know that You are the One who ensures our well-being. Ya Allah, You are Al Muhaymin . Make us mindful of You in everything we do and aid us in accepting and being content with Your decree in good and bad times. Ya Allah! Make the Quran our close companion and a witness for us, protect and cure our hearts from its diseases, and protect us at all times, against others and ourselves, in this life and in the Hereafter, ameen! O Allah, Al Azeez, we know that all might belongs to You. Ya Allah ! make us among those who rely upon Your power only, make us benefit from the Quran and protect us from all of those who want to overpower us, ameen! O Allah, Al-Jabbaar, we know that You are the One who compels andrestores and who is Highest. Ya Allah, You are Al Jabbar-the Restorer . Mend our hearts when we are distressed and protect us from oppression and from being oppressive to others. Ya Allah restore my body from all sorts of Illness and protect it from laziness and cowardice. Ya Jabaro ! Make us obey Your commands willingly, and enable us to reach all our goals which are pleasing to You, ameen! O Allah, Al-Mutakabbir, we know that You are supremely Great. Ya Allah You Are Mutakabbir . Guide our hearts and actions to humility towards You to our Deen and to Your creation. Ya Allah! Protect us from arrogance and assist us to ways to cure any arrogance that entered our hearts. Ya Allah! Make us of those who are blessed to witness Your Grandeur in Paradise, ameen! O Allah, Al-Khaaliq, we know that You are the Creator of all that existed, exists, and will exist. Ya Allah! You are Al Khaliq .Lead us to unshakable belief in you as our Creator and let us never ascribe partners to You. Ya Allah! Guide us to please You and to ask You for our needs and wishes, awaken us to reflect on the creation, and make us of those who are good in form and good in manners, ameen! O Allah, Al-Baari’,we know that You create and form from nothing. Al Allah! let us worship you alone; guide us to obey You, distance ourselves from bad, enjoin good, and forbid evil. Ya Allah! Help us ponder Your creations and appreciate Your power and greatness and give thanks to You . Ya Allah! make us of those who carry the da’wah of Your Oneness to others in the best way, ameen! O Allah, Al-Musawwir, we know that You are the One who forms the whole creation. Ya Allah ,You are Al Musawwir . Make us of the shaakireen (the grateful ones) for our own forms and the shapes around us. Ya Allah ! help us ponder on Your creations andmakee us turn to you for all our needs. Ta Musawwir’o Make us of those who use the blessings you gave us for good, and make us witness the beautiful shapes of Paradise, ameen! O Allah, Al-Ghaffaar, we know that You forgive, cover, and protect us continuously. Ya Allah! You are Al Ghaffar – the One who forgives. Ya Allah !Forgive our sins, the first and the the last , the hidden and the apparent. Ya Ghaffar’o Ya Allah ! enable us to keep turning to You seeking forgiveness. Ya Allah! Conceal our shortcomings in this life and on the Day of Judgement, protect us from the effects of our sins, and aid us to be forgiving to others, ameen! O Allah, Al-Qahhaar, we know that You overpower everything. Ya Allah ! Aid us to surrender our hearts and our actions to You only. Make us ponder Your power, abandon our sins, and be kind to the weak, Ameen! O Allah, Al-Wahhaab, we know You are the Giver of all gifts. Ya Allah, Al Wahhab ! Make us of those who are grateful for Your gifts and use them to please You. Ya Allah! adorn us with love for You. Ya Ghaffaro Make us ponder Your gifts, inspire us to give gifts to others, and give us from Your mercy that overwhelms us in this present world and the world to come. Verily, You are the best giver of gifts, ameen! O Allah, Ar-Razzaaq, we know that You are the one and only Provider. Ya Allah ,Ar Razzaq ! Make us of those who are content with Your provisions, guide us to work hard and use Your provisions wisely, and make us ponder them. Lead us to deeds that increase Your rizq and enter us into Your gardens by Your rahmah so we can enjoin the best of Your provisions, ameen! O Allah, Al-Fattaah, we know that You open to us every closed gate according to Your wisdom. Ya Fattaho,Ya Allah! Open our hearts to your Ibadah. Ya Fattaho ,Ya Allah! Open your door to Success. Ya Allah! Open for us the doors to all that is good in this life. Ya Allah !help us to trust on You as our judge, inspire us to ask You only to open any door for us— physical, spiritual, big, or small— and to open for us the door of Your mercy and open for us the gates to Your Paradise, ameen! O Allah, Al-‘Aleem, we know nothing but what You teach us. Ya Al Aleem’o ! Give us Ilm . Ya Allah! Instil in us eagerness to learn, guide us to the best knowledge, increase our knowledge and make us beneft from it. Ya Allah ! guide us to act upon our ‘ilm by doing what pleases You and staying away from what displeases You. Make us contemplate ourselves and the creation around us, and assist us in accepting your decree at all times, ameen! O Allah, Al-Qaabid, lead us by Your withholding to whatever is best for us in this life and the next. Ya Allah ,Ya Qaabiz’o ,Guide our hearts and grant us strong faith to believe that after hardship comes ease. Make us contemplate your perfect power by reflecting on nature and by remembering our life, death, and resurrection. ameen! SubhanAllah beautiful post. JazakiAllah khair for sharing. Aameen to duas. Waiting for the second Part . Thanks a lot . You are always in my Duas.